the Windows installer now has an option to install the tools needed to compile native modules. 12 Factor CLI Apps — Can you take the ideas from the 12 factor app methodology, originally constructed as a way to structure webapps, and apply it to command line apps? Heroku’s Jeff Dickey says yes, and shows us how. Building APIs? — Free yourself of regression testing, load testing, and mocking. Try a platform that can do that for you. 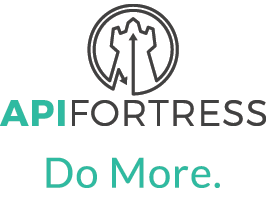 An API testing framework as a platform. Isaac Z. Schleuter on the Node + JS Foundation Merger — The creator of npm and former ‘BDFL’ of Node.js shares his thoughts on the recently announced Node.js and JS Foundation merger. In short, he’s excited. Troubleshooting Node Issues in Production with llnode — A look at the llnode project (a Node plugin for the LLDB debugger) and how it can help debug issues particularly on larger or more complex apps. MongoDB Inc. Acquires mLab, the Cloud MongoDB Host — Not exactly Node news, but I suspect Node developers are more likely to use mLab’s MongoDB hosting on services like Heroku, so this may affect you as a migration will be forthcoming. Sr. Backend Engineer - Node.js / React / MongoDB (San Francisco) — We’re changing healthcare. Join us and help us scale our core Node backend platform that connects patients and doctors. UK Tech Jobs? Check Out hackajob — We look at your skills to match you with great companies. They apply to you, salary upfront. ▶ What's The Longest Word You Can Write With Seven-Segment Displays? — This is really a bit of fun that you might find interesting from a geeky POV. Node gets used and explained in the process. Using Winston, A Versatile Logging Library for Node — From colorizing and timestamping console output to even rotating log files. Publishing Private npm Packages to Nexus — A look at how to use Nexus Repository Manager for distributing private packages. Get Unparalleled Visibility into Node.js Application Performance — N|Solid is the only platform built specifically to monitor Node.js application performance with minimal impact. Colorette: Library for Colorizing Text using ANSI Escape Sequences — Just in case you’re not happy with the existing options. Puppeteer 1.9 Released: The Headless Chrome API for Node — Control Chrome headlessly over the DevTools protocol. 1.9 brings Chrome 71 support, frame navigation, and errors now have async stack traces.